Note: In the post below Russell Library student worker/blogger Beatrice Pollard recounts the time she spent interning for the Obama presidential campaign in 2012, as well as how she spent election night 2012. The opinions expressed here do not in any way represent the views of the Russell Library, which is non-partisan in its mission and activities. This post is simply meant to reflect on the experiences of a college student on the campaign trail. Like many great goodbyes, the end of a campaign is never quite as predictable as you think. When I reached the end of the 2012 Presidential campaign trail I was left mostly in a state of uncertainty. On election night as the results flashed across the big screen, I think I felt a little bit of everything -- both happy for the experience and sad it was over, anxious for the outcome and relieved to be finished with the phone calls and canvasing. And, along with that anticipation came the fear of losing. I realized that I had just become a node in one of the largest, most effective grassroots networks that had reelected the President of the United States – that was a big feeling. For most of us on the ground, this is when it all came full circle, when we as a whole realized that this was bigger than us. Flashbacks to classes in U.S History, America’s revolutionary leaders came to mind as I recognized the cost for this hard fought civil right. 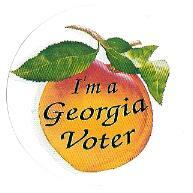 In this election year I mobilized my fellow citizens to participate in their right to vote. While we all had our separate roles, in the final moments of the campaign we were working under a single heartbeat. After a while, “Fired up and ready to go” became more than a call to action used to motivate supporters, it was embedded in our hearts. The experiences I had working for a campaign this election season were the most valuable part of the process. Listening to stories from Georgians across the state, Atlanta to Augusta to more rural areas, showed me the true diversity that exists in the state population. And our group grew because of what we saw. The melting pot of people on the campaign all found a way to look past individual differences and connect through personal stories about what brought them out to support the President. We were real people working together. It was enough to believe that we as ordinary citizens making phone calls and knocking on doors were making a difference in determining the direction our country might take next. By the end of the summer our team had hosted numerous Get out the vote events and organized dozens of neighborhood teams around the state; that excitement spread and the people we met became dedicated to hosting their own events and getting the word out. We were able to rally Women for Obama, Hispanics for Obama and other diverse segments of the population into coming together as one big support group. Headquarters became busier and I watched as our enthusiasm spilled over into downtown Atlanta and the greater Athens area. The final days of the campaign became increasingly busy as the race heated up, and I think for most of us the results of the debates and the increasingly close polling numbers were unexpected. But our team continued to work, canvassing neighborhoods, making more phone calls and taking road trips to the battleground states of North Carolina and Florida; we were determined to make a difference. I joined with my fellow Obama for America workers and Young Democrats of Athens to watch the election coverage at the Georgia Theater. To have contributed my blood, sweat, and tears for months, it was humbling to sit and watch the early returns, afraid my contribution wasn’t enough. We all sat watching, fixated on the screen as each state was called for Romney or Obama. The race appeared so close and we didn’t know what to expect. Nevertheless, decked out in our Obama pins and unyielding faith, our hopes rose as the numbers began to turn in our favor. In the end, our team helped to win those battle ground states. The biggest feat of all was Florida. Members of our Georgia team had spent dozens of weekends in the undecided state, forming neighborhood teams to talk to undecided voters. . I can’t forget the hours spent forgoing the Georgia-Florida football game festivities to canvass the Florida suburbs. And the phone calls – I’ll never forget the thousands of phone calls. But this was grassroots, and this was real. WE had a lot of reasons to be proud for the big win, but most of them were because we knew first-hand the hard work that goes into a campaign. In any campaign, beyond all the glitz and the glamour there are real people making calls and logging in the data so we can make the calls again. Never once could I imagine how empowering it would be to have the opportunity to actively participate in election process. When I first signed up I was attracted to the glamour, but I left the experience humbled that someone from Augusta, Georgia could become a mechanism for change. I’ll carry the intimate conversations, the skills, and the optimism to any field I go into in the future. If you have the opportunity to give back to the community whether it is public service or campaigning – go do it. It won’t be the most financially rewarding, but it will definitely change your life.